In California, an employee at a Buffalo Wild Wings muted the National Anthem playing before a Monday Night NFL game despite protests from the customers. He blamed “company policy” on turning down the anthem, because it was too controversial. 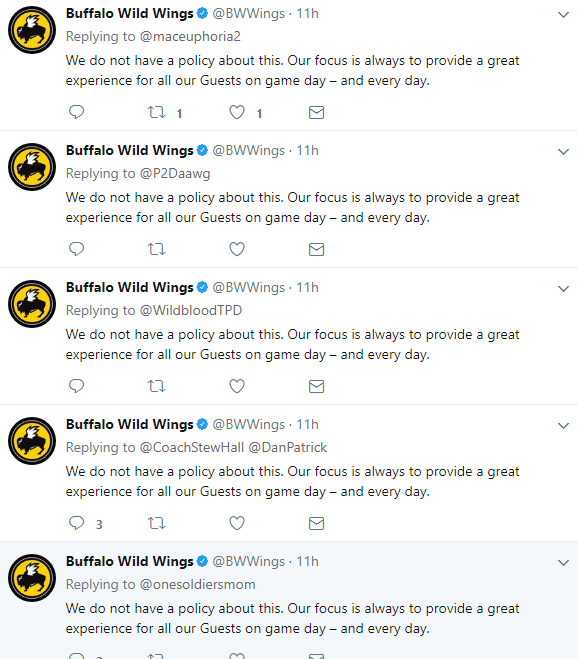 So to get that straight, on Sept. 11th, a Buffalo Wild Wings employee said it was company policy to mute the National Anthem before an NFL game. 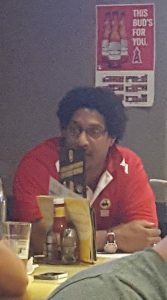 So a customer by the name of Lori took a photo of the manager and spread it around social media. A manager on staff apologized immediately for their employee, but the damage was done. The franchise owner also issue an apology, clarifying that they did not have a policy against turning down the Star Spangled Banner. 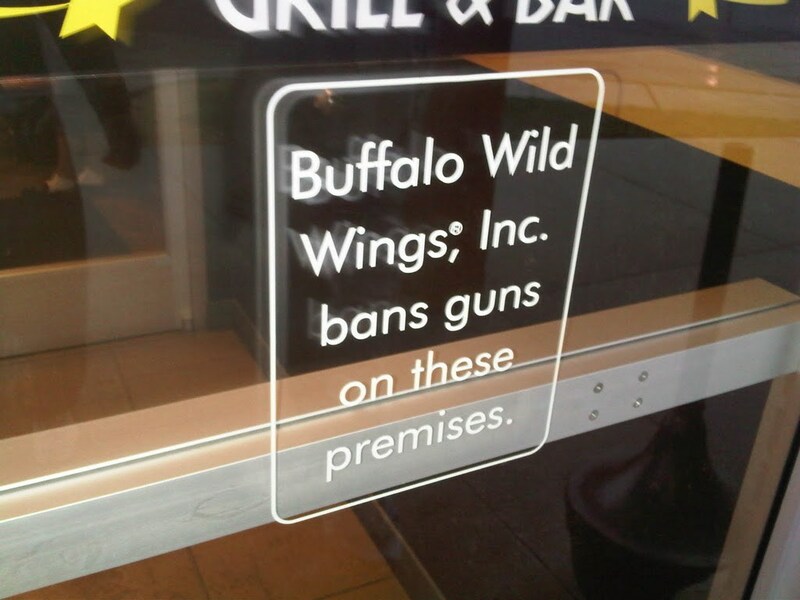 Buffalo Wild Wings has suspicious policies in the first place, notably one where they refuse to serve police currently on duty because years ago they have declared their business to be a “gun free zone,” most notably after a group of eight police officers were asked to leave. At the time, the general manager of that location called the incident a “huge mistake” and apologized to the police. They really do have a gun-free zone policy, though — but it’s supposed to exclude on duty and off duty police officers. …and show America the respect it deserves. Let’s play the National Anthem it our cell phones loud and stand with our hand over our hearts and sing out loud before the game. Then walk out. 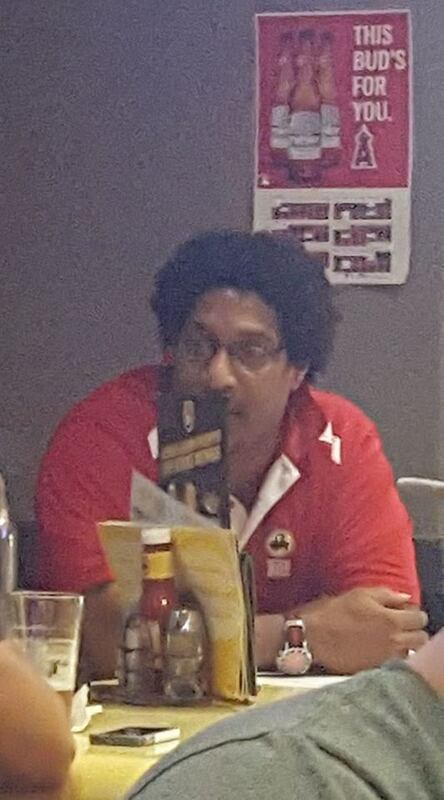 The Manager at the aformentioned Restaurant is lowering the TV volume when the National Anthem is played at the beginning of the football game. So let’s show him that we don’t need the sound to sing our National Anthem.